Ghost Hunting Theories: Unbelievable Undersea Finds! This city above was discovered in a bay off of Egypt and dates to the 12th Century BC! It had been built on an island in the Nile Delta with intersecting canals. 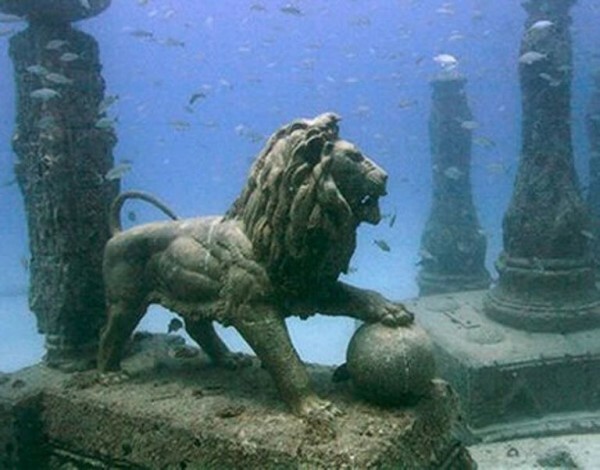 Around the 500s AD, it sank due to earthquakes and floods in the delta. An underwater archaeologist found them in the year 2000. What a find! This object was picked up by an ROV vehicle on the sea floor is of questionable origin and appears to be fastened to the sea floor. 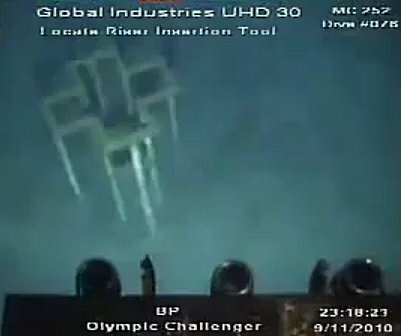 My guess on the one above is some kind of drilling platform underwater or something that we put there. This might blow your mind, but under the Black Sea, researchers found an underwater river with trees and waterfalls. If on land, the volume alone would make it the sixth largest river in the world. The rapids, banks and flood plains just like one that is on land. Thirty meters deep they discovered fresh water, then 60 meters deep, salty water, then a river flowing, an island, trees, and fallen leaves. 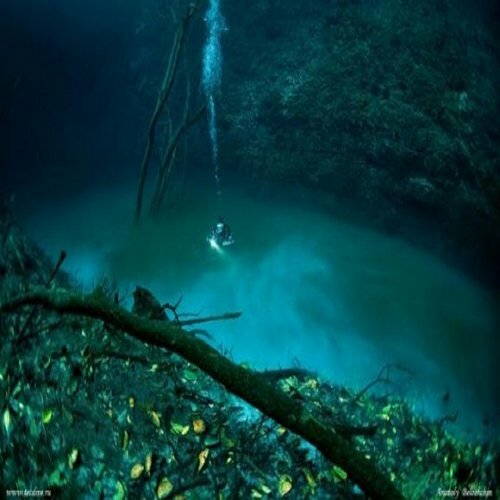 It flows about 115 feet deep with fresh and salty water at varying depths. Prehistoric Life Below Sea Floor - Still! Along the sea floor in the Pacific right around the equator, scientists drilled down 90 feet and found life! They expect to find 90% of one-celled life in the sea bottom, but they didn't expect to find it at ancient depths below the surface and thriving. 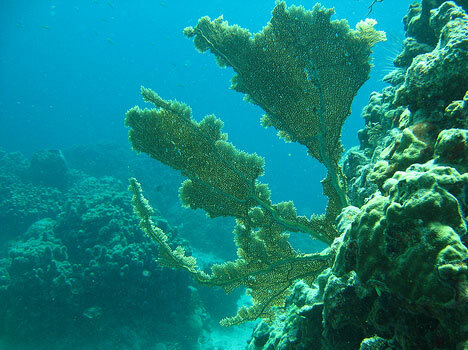 This part of the ocean hasn't seen food sources since dinosaurs roamed the earth! 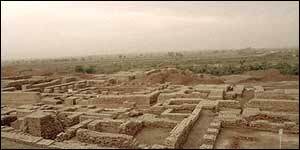 A city was found underwater in the Gulf of Cambay off of India and thought to be as old as 9500 years. Found in about 120 feet of water, actually predates the oldest known remains in the subcontinent by 5000 years! The city is 5 miles and 2 miles wide. Researchers recovered bones, pottery, beads and sculpture and carbon dated placed it at 9500 years ago. Looking at the blocks they are astounded. Apparently, buildings of that massive construction did not exist until 4500 years ago. Putting this in perspective, this is older than Egyptian culture, older than Sumerian, older than Chinese. A yacht owner first sighted something odd under the water off the shores of Portugal. 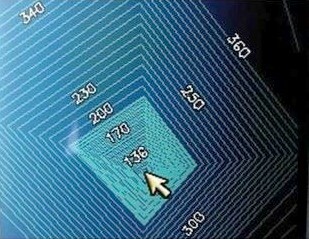 Sonar confirmed this man-made structure. The base was 8000 square meters, and oriented in the cardinal points. They went on to find other structures in the area and all pointing to a culture that possibly built structures in orientation to solstices. Experts say it's still to early in exploration to understand where they came from and what culture put it there. Cool post - entering Graham Hancock territory!